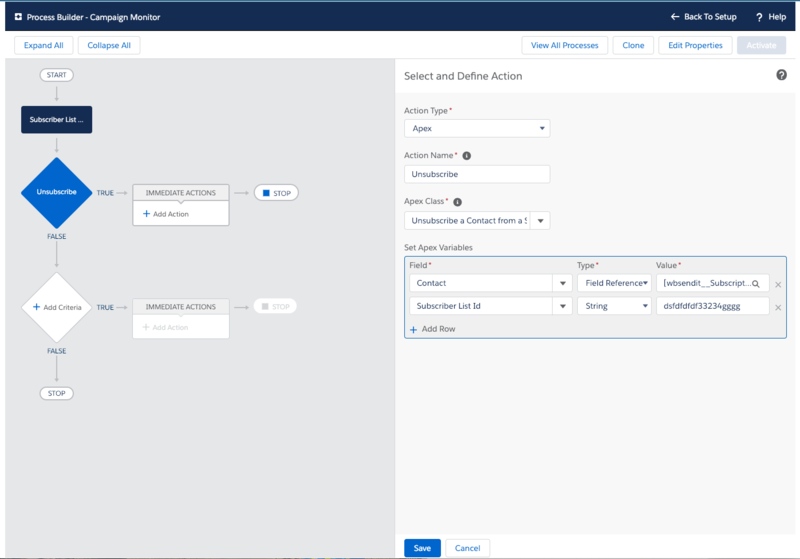 Salesforce Process Builder allows you to build complex flows without code. Process builder is an advanced topic. To learn more, please refer to the Salesforce Trailhead guide on how to use the Salesforce process builder. 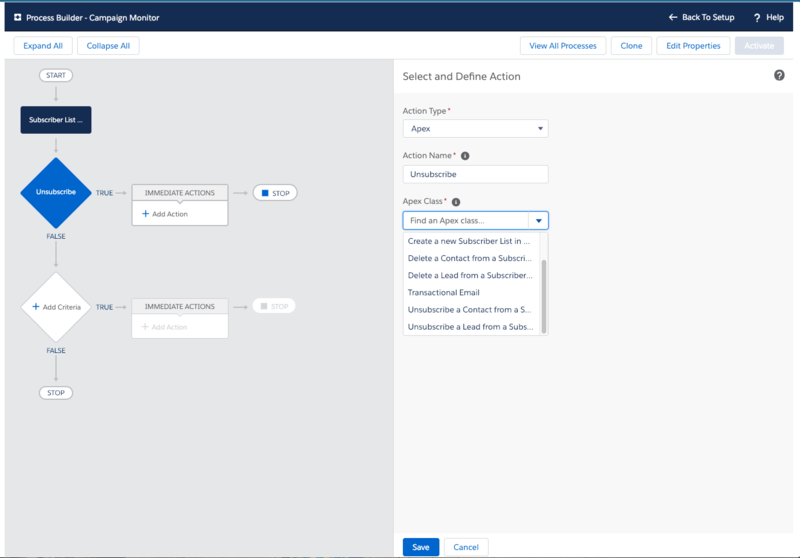 Automate Simple Business Processes with Process Builder . Choose Apex on Action Type. Give the Action a Name. When working with the add, delete or unsubscribe rules (options b through g above) you will need to specify either the Contact or Lead ID depending on what object you are working with. The Contact or Lead ID is simply the record ID. 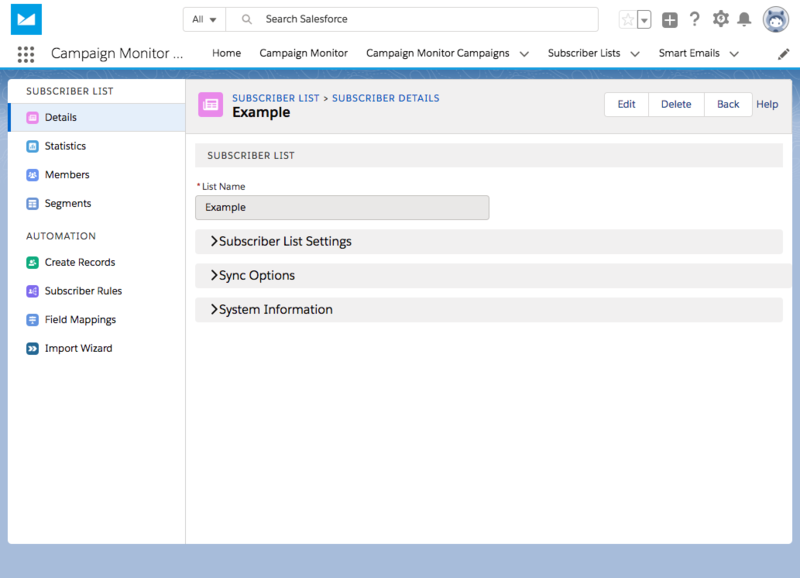 The subscriber list id can be found on the subscriber list record on the Details screen under the collapsed system information. Process builder does not work well when triggered in bulk i.e. when many records meet the flow criteria at once. Only use process builder if you are comfortable with how it works and have tested your flows. Thank you. Your feedback has been received!